Before I had a baby, I could spend an entire day in the kitchen baking and think nothing of it. 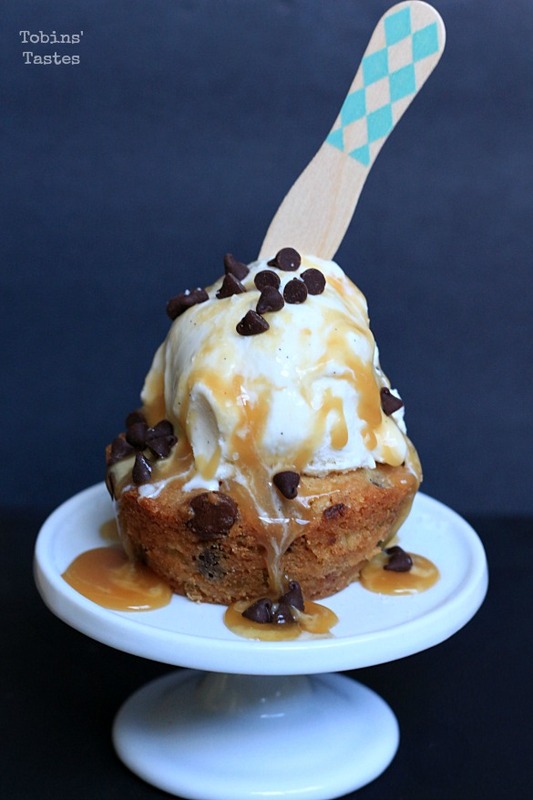 Especially around holidays and birthdays, I would log hours measuring, sifting, kneading and icing to perfection. Once Easton was born I was lucky to get 10 quiet minutes to preheat the oven for our frozen lasagna. Now that he is a little older and life is a little calmer, I have started to get the itch to bake again. Problem is, my child refuses to nap for more than 45 minutes at a time so my reentry into baking needs to be perfectly timed (no pun intended). 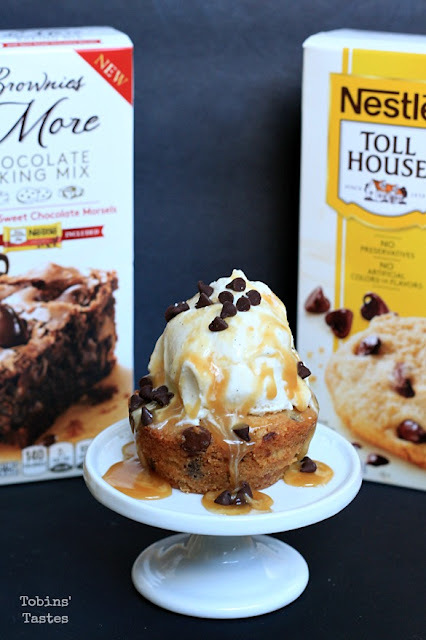 When I saw the new NESTLÉ® TOLL HOUSE® baking mixes at my Publix last week I grabbed a few boxes and figured I would save them for a night when Justin and I wanted a little something special for dessert. This weekend we went out to lunch with my family at a place where we are known for usually getting dessert. I had mine all picked out but when we finished our entrees Easton and my 1 1/2 year old nephew had hit their restaurant limit and we had to end the meal without anything sweet. 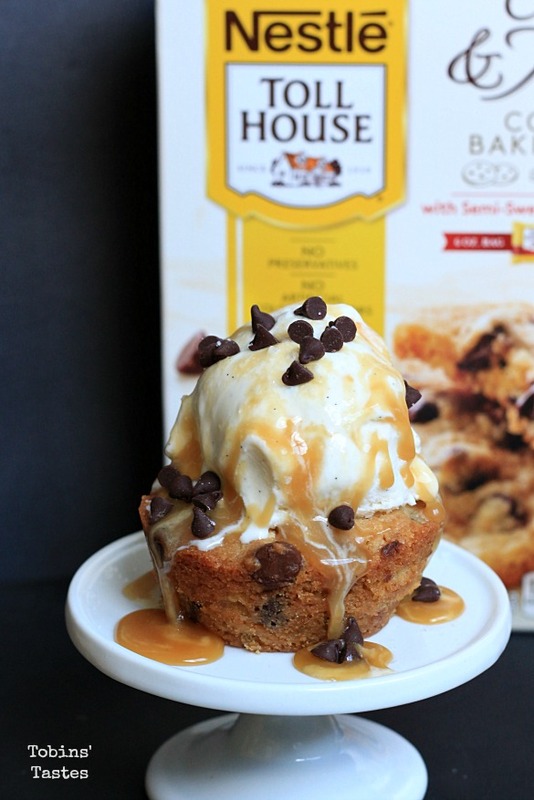 Justin and I had both been looking forward to a restaurant quality dessert and so I decided to recreate one at home. 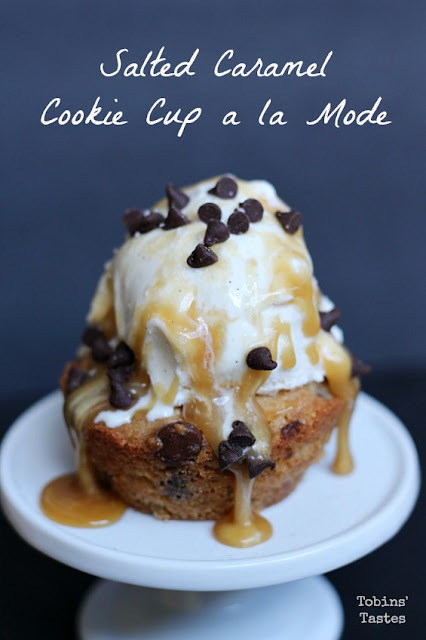 I use to be known for my elaborate desserts so I have been looking for ways to create treats that look a lot more complicated than they actually are. 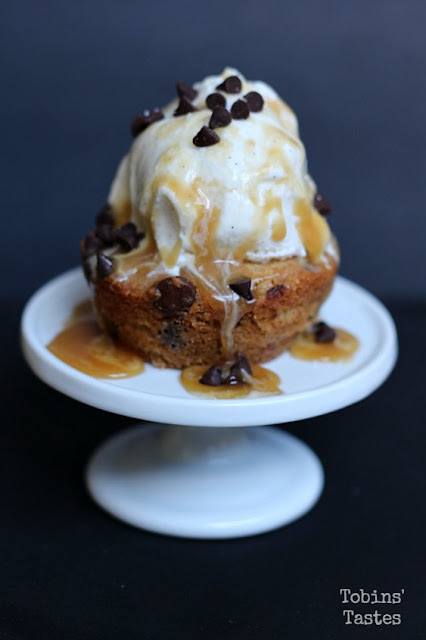 These Salted Caramel Cookie Cups are just that. They only take minutes of prep time and they can be customized any way you like. I prepared the mix the traditional way but you could easily add in some toffee bits or chopped nuts for a fun twist. I love that the box even has different directions depending on how you want to customize it. 1.) Prepare baking mix as directed on the box. 2.) Grease and flour a muffin tin. Press dough into each cup (mine were about 2/3 full). 3.) Bake at 350 degrees for 15-18 minutes or until tops are starting to brown. 4.) Let cool completely before removing from muffin tin. 5.) 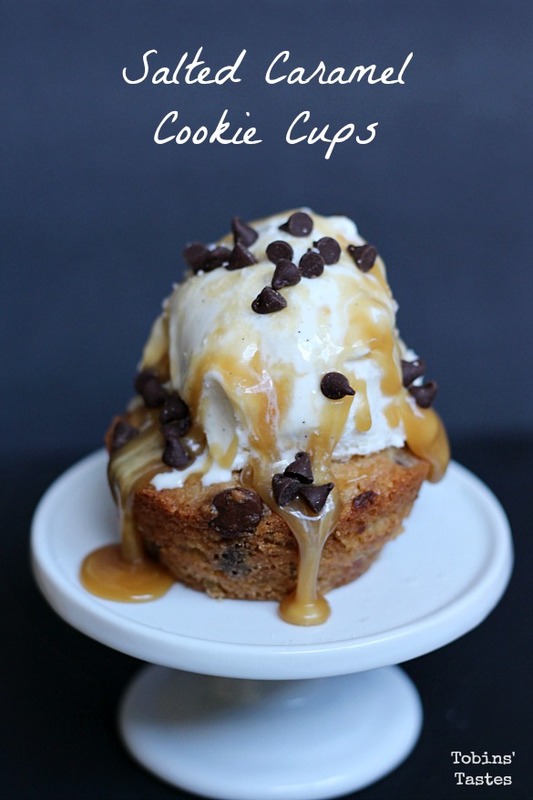 Top each cookie with a scoop of ice cream and drizzle with caramel sauce. Finish with some mini morsels and a sprinkle of sea salt. Make sure to take advantage of the current ibotta offer and earn .75 cash back when you purchase any one box. Ibotta is my favorite cash back app so I was thrilled to see this offer since I was purchasing the item anyways. New to ibotta? Learn more here.